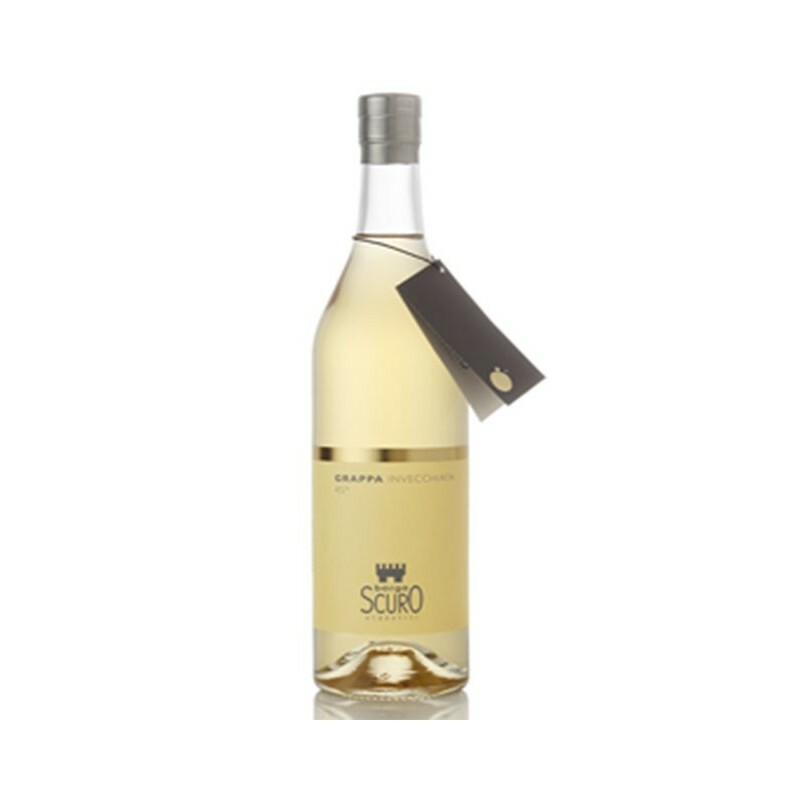 Borgoscuro Aging is the result of a unique blend of grappa of three vintages.After the blend of three vintages Borgoscuro Aged Grappa matures in barrels of ash and Slavonian oak 450 and 680 liters, up to the achievement of the perfect balance of character and aromatic complexity. The base is made up of 65% pomace of red, mainly Cabernet and Merlot, and 35% white grapes, distilled separately in boilers with direct steam, and in the still in a water bath under vacuum, with a run of the system the custom on the different types of grape pomace. Has a beautiful golden yellow color excellent brilliance.On the nose dominate aromas of sweet spices expanded by accents of ripe peach, quince and toasted hazelnut.In the mouth it is warm and enveloping, soft and balanced, which leaves on the palate, an intense feeling of sweet liquorice.